The Five video: Is Obamacare a disincentive to work? Tuesday’s numbers: O’Reilly-Kelly-Shannon Bream 1-2-3. Zucker punch: CNN Latino closing up shop. Video: Out...The Ronan Show. In...Ronan Farrow Daily. Opening Bell 2/24 alters FBN sked; Bartiromo on tonight. Jones: Can Zucker save New Day? Gretch: Mostly false. Q&A: Richard Grenell. CNN beats Fox...in poundage. 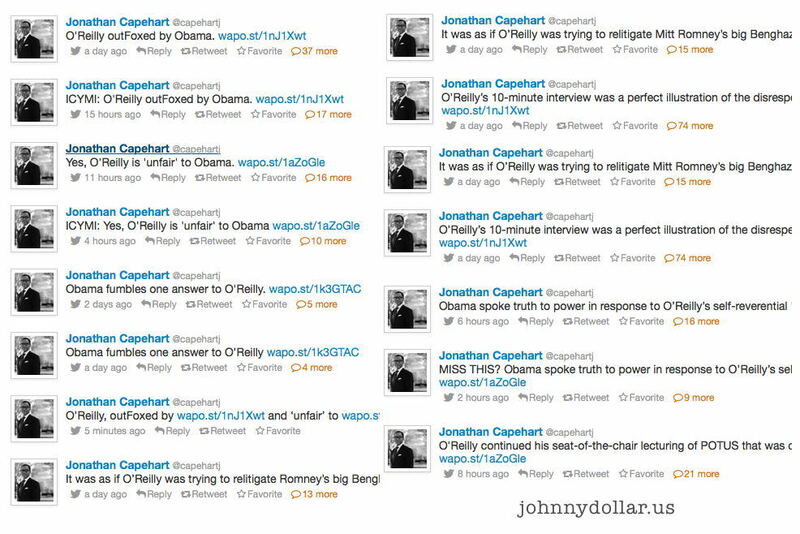 MSNBC’s Jonathan Capehart has something on his mind. Woolf rips Ronan Farrow. Brianna Keilar to cover Hillary.